Want to start a local business but short on ideas of exactly what type of business? 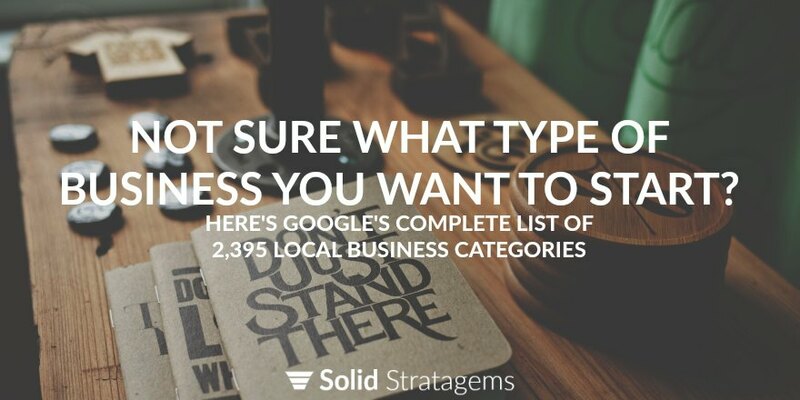 Here’s an alphabetical list of the 2,395 types of businesses Google has listed as “categories” for local businesses. Happy brainstorming!